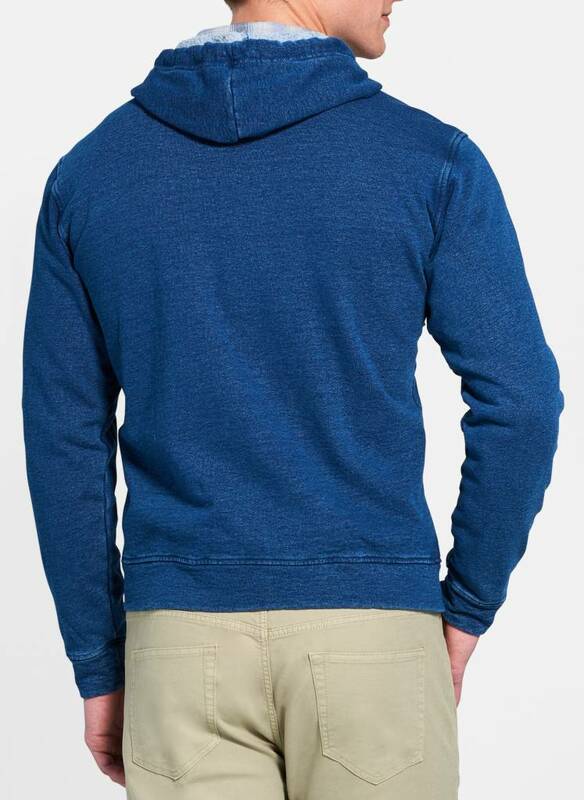 Full-Zip Indigo Hoodie is made from luxurious cotton yarns that have been blended with premium polyester fabric. Features a vintage-inspired indigo dye and antiqued hardware for an authentic lived-in sensibility. 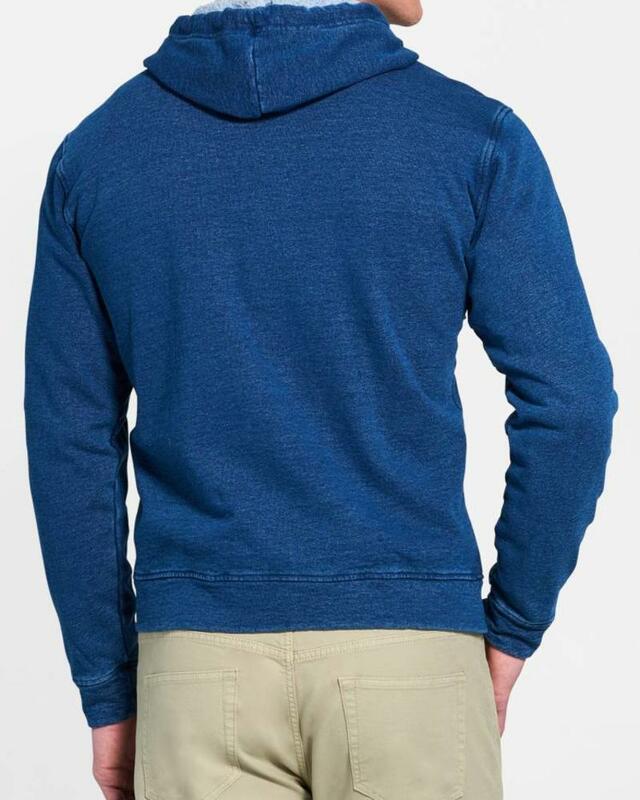 Finished with a two-way zip front closure and banded cuffs and hem.